I went on a site visit to Wilmington yesterday with my boss. We took his plane; it’s so much easier than driving , especially with biker week in full swing. 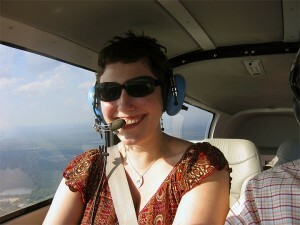 Flying in a small plane is much different than a big plane. It’s more like having a car in the sky…with 2000+ feet between you & the road. It was a little bumpy on the way up to Wilmington, but better on the way back. 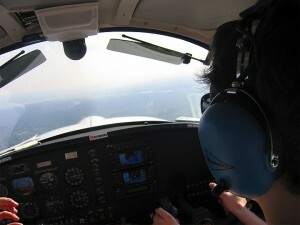 Flying back to North Myrtle, Greg let me take the wheel, er, yoke. It was so cool (and scary). We were flying down the coast; the force of the wind is amazing. That is TOO cool!!! Is that John Travolta beside you? I thought his plane was MUCHO bigger…. Also…you’re lookin’ HAWWWWWWWWWWWT! Correction: Let’s hope that’s not Andre Bauer in the pilot’s seat… Ooooh. I’m eveeeel.